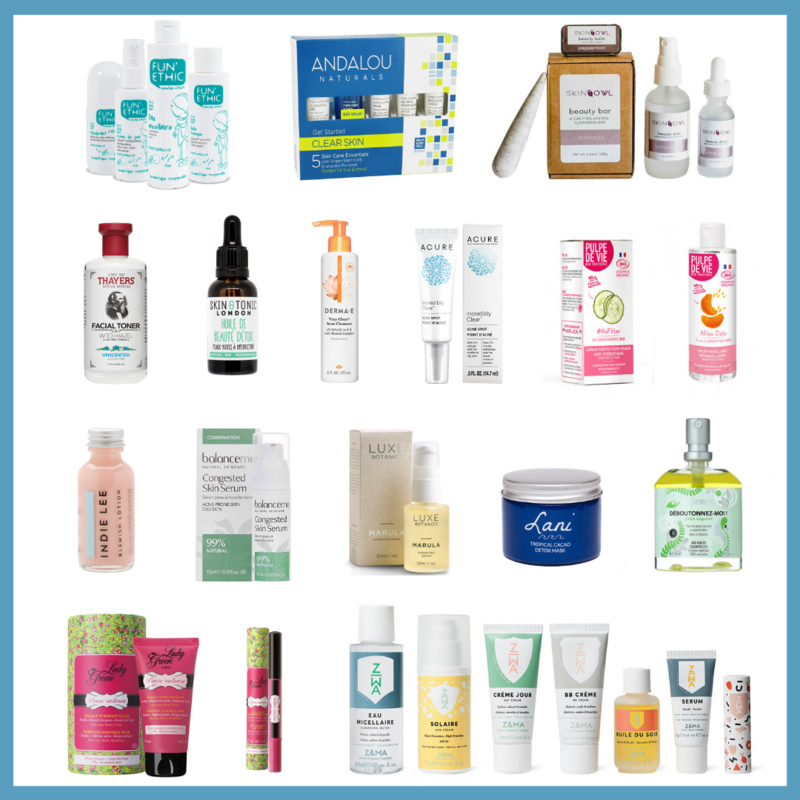 My curiosity for indie beauty brands has increased considerably over the year, and the last couple of months, I had been lusting after this brand named Glory Boon. 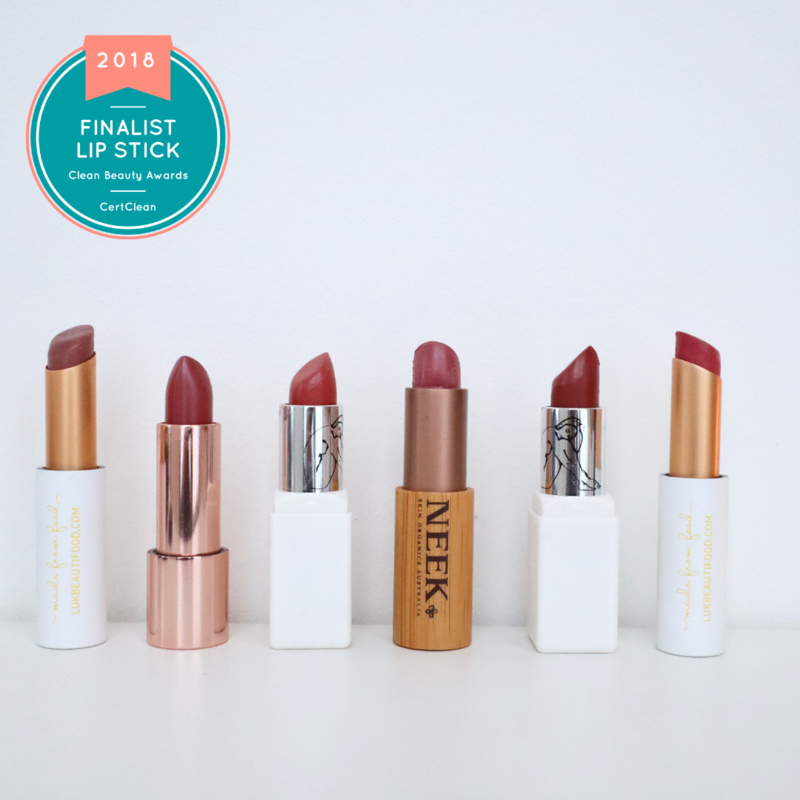 The adorable-looking products are handcrafted, cruelty-free and paraben-free. Alexandra, the founder of Glory Boon also happens to be a fashion and beauty blogger. How did you come up with this cool brand name? Is there a specific meaning behind it? I didn’t spend endless hours searching for the “perfect name” it kind of just came to me, in a very spiritual kind of way. I loved the words Glory and Boon for what they stand for. I loved their meanings…glory: magnificence; great beauty. Boon: a thing that is helpful or beneficial…a blessing. So I used both and walla! Glory Boon was born! What made you want to create your own cosmetics? 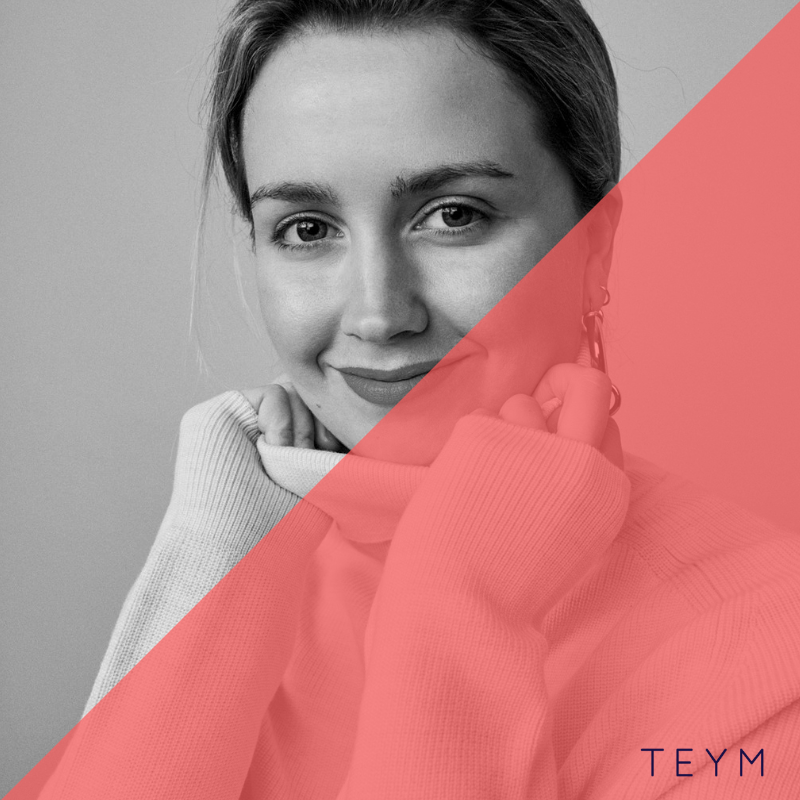 I started detoxifying my beauty regimen a couple of years ago, and I took quite an interest in it, so much so that I started making my own beauty products. I have really sensitive skin, and it was so hard to find wholesome products at the time so I just started creating my own. Plus I truly needed a creative outlet, and I enjoyed every moment spent creating new products! So I went for it, opened up my Etsy shop and have been growing ever since. From the adorable packaging to the ingredients, everything from Glory Boon seems to be crafted with care. What/Who mostly inspires you? I find inspiration in the everyday. Nature, people, music, and poetry. I like browsing images on Pinterest and in magazines. Inspiration truly is everywhere. You just need to open your eyes a little bit to see it all around you. Which product are you most proud of? (tough question I know!) or which product is the most popular on your shop? Good question! It’s hard to choose a favorite product! 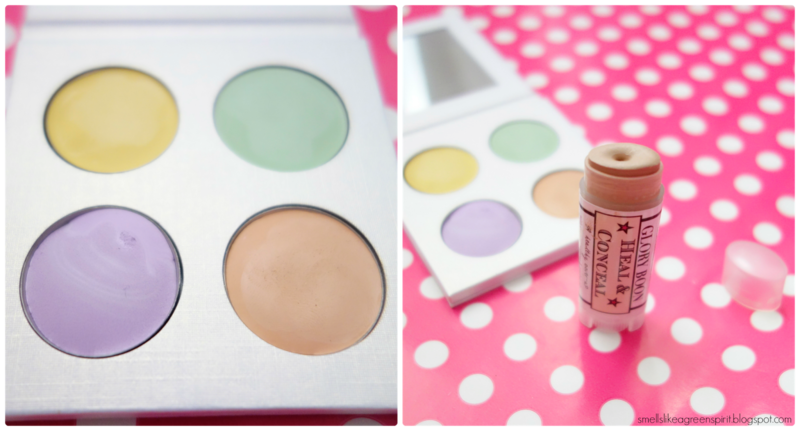 I must say I’m partial to the all natural concealer stick (heal & conceal). It’s been in the shop since the beginning and I use it everyday! As for the cream blushes, they will make a comeback! I’m currently looking for the cutest packaging for them…once that’s done they will return. Can we expect some exciting new releases in the near future? Yes! I’m working on a couple of new products, something new to the shop! Mum’s the word for now, but it’s pretty amazing! – Yellow : warms up the skin tone, counteracts discoloration, reduces pink/red tones, and hides dark circles. – Lavender: brightens dull complexion. – Salmon: neutralizes blue undertones and under-eye dark circle. The consistency is creamy, but it can be a bit thick. A little product is needed, otherwise it might look a bit cakey. While it does provides a smooth and blendable coverage, I’d advise those with dry skin to prep the skin with a facial oil before, to make sure the product blends nicely. it doesn’t settle into fine lines. 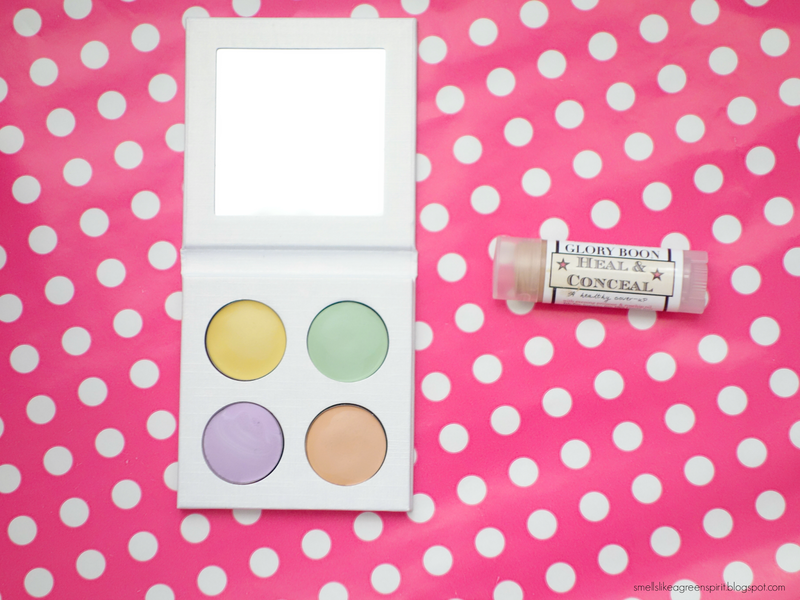 I also enjoy using the green concealer, which does a lovely job at muting the redness. Yellow is the one I use the least, and lavender works great as a subtle highlighter. Of course, the packaging looks super cute and the sleek palette comes with a little mirror, perfect to carry in your purse for a quick touch-up. The most popular product, judging by the incredible reviews and magazine features. It’s a non-clogging cream concealer in a stick and there’s wait for it…only one shade. A universal shade – yes it works – that blends amazingly well, while providing an impeccable coverage. I’ve been using this product a lot to cover up those spots on my right cheeks, which are taking ages to disappear. Since I’ve been using it, I can definitely tell that it hasn’t aggravated the problem, on the contrary, thanks to the blend of natural oils (rosehip, evening primrose and neem oils), it has softened the appearance of my skin and reduced the inflammation. I just wish it was long-wearing, because I do feel the need to reapply it on some big spots. I don’t mind though, because it comes in a stick and I can always carry it with me. Ingredients: Sweet Almond Oil, Shea Butter, Cocoa Butter, Non-Nano Titanium Dioxide, Beeswax, Castor Oil, Iron Oxide, Mica, Organic Jojoba Oil, Meadowfoam Oil, Evening Primrose Oil, Avocado Butter, Non-Nano Zinc Oxide, Tocopherol (Vitamin E), Rosehip Seed Oil, Organic Aloe Oil, Neem Oil, Rosemary Extract. Have you heard of Glory Boon? What’s your favorite product? I've seen these before on YouTube! Love the look & sound of both. The concealer stick is really handy to put in my bag as I'm always a bit wary of carrying my RMS glass pot! I've been wanting to try this brand since my obsession with Etsy began! Definitely interested in the Heal & Concealer stick. Lovely review and interview! Oooh these look great! I'd definitely want to try that cool concealer palette! Love that these are so affordable and that you had a great experience.